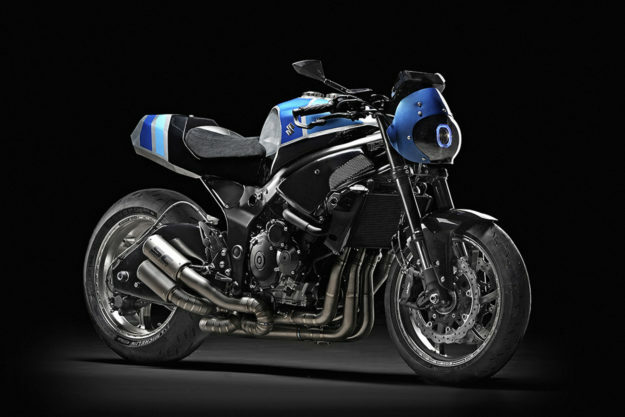 Suzuki GSX-S750 by Officine GP Design Despite best intentions, the 2017 GSX-S750 hasn’t set the world afire. Enthusiasts wanted a stripped down Gixxer, but what we got instead was a watered-down upright that became heavier when naked. So Luca Pozzato of Turin-based Officine GP Design recently took a crack at one—and it has us skimming through eBay for a donor of our own. Looking to pay tribute to the long running heritage of the Suzuki GSX series, Luca focused on re-interpreting memorable design cues. 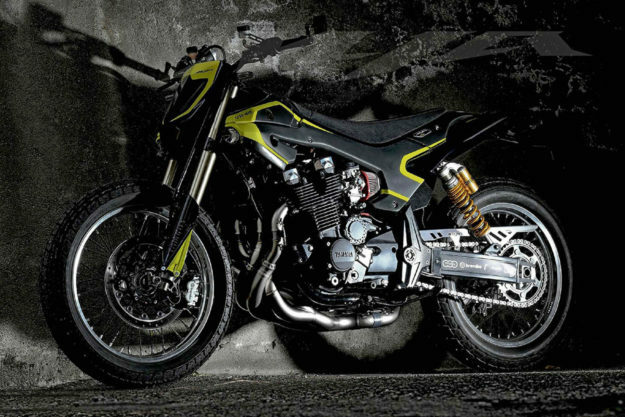 The hand formed aluminum tail screams 80s chic, but the perch and endurance-style tank are more akin to a SRAD (Suzuki Ram Air Direct) Gixxer from Nirvana’s heyday. 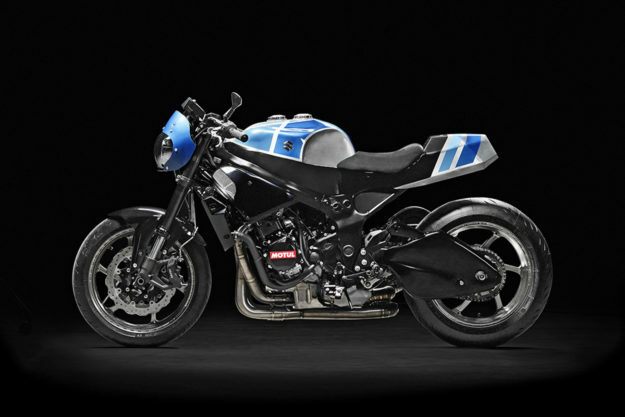 And the bikini fairing is a clear nod to the era that ushered in the home-brew streetfighter. It’s a combination that shouldn’t work—but to see it is something else. 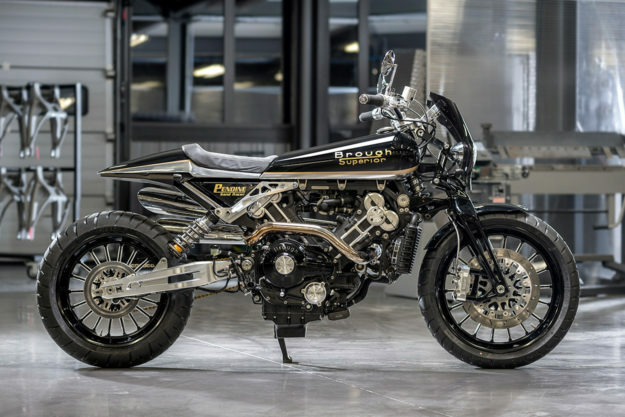 The reborn Brough Superior marque has now given the Pendine name to its newest creation, the Pendine Sand Racer. 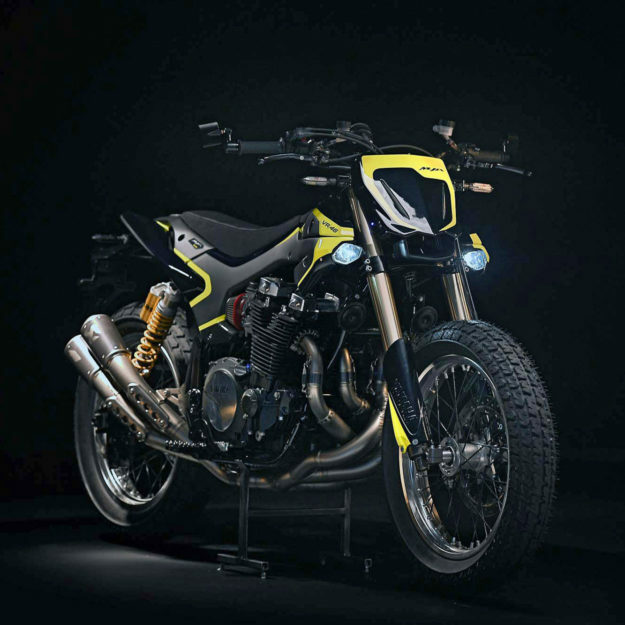 Powered by a 100 hp, 88-degree V-Twin, the Sand Racer is a mash-up of tracker and scrambler design cues that is absolutely breathtaking. The tank and tail flow seamlessly to create incredible visual balance, and showcase all the mechanicals we love on classic bikes—with a meticulous degree of finishing. The chassis is titanium, as are various connecting components for the suspension. The brakes are handled by Beringer and the swingarm is a completely CNC’d unit deserving its own spot in a museum. Pricing starts at £57,999 (around US$77,000), chaps. 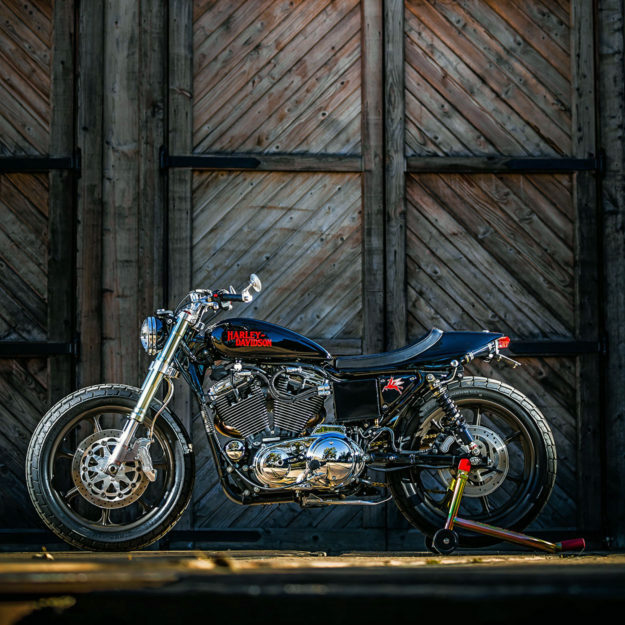 Suzuki GS1150 by KickMoto The Halifax, Nova Scotia shop is no stranger to these pages. Of their five previous projects, three have been featured on EXIF. 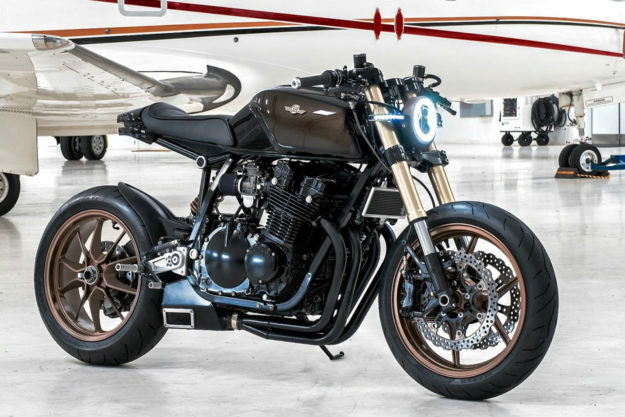 And now we can include their sixth build, a Suzuki GS1150-based cafe that shows how these Canucks really sweat the details. Partners Jeff and Jordan looked to the aviation industry for inspiration during this build. That meant extensive use of aluminum, typically graded for the friendly skies. The headlight, which was spec’d to resemble a WWII fighter, is comprised of six individually CNC’d units, and is a marvel to behold. 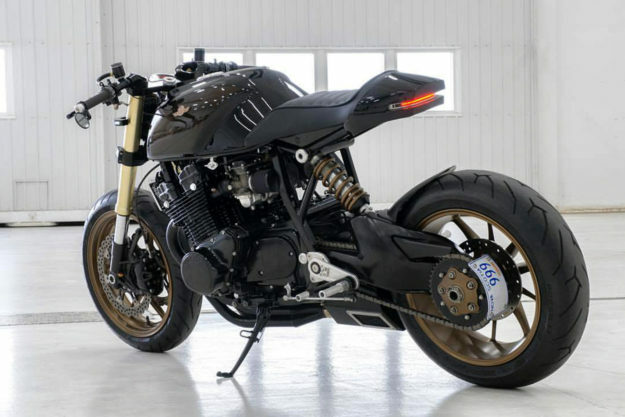 The CNC machine was kept running to tackle a bespoke top clamp too, which allowed the fitment of a Kawasaki ZX14 front end—and features a recess to flush mount the new Motogadget speedo. Yamaha XJ1300 by Rodolpho Frascoli If you’ve seen the video, then you know that Valentino Rossi doesn’t lose any of his superhuman riding abilities when asphalt turns to dirt. And now he has a new toy to fling around his Ranch. 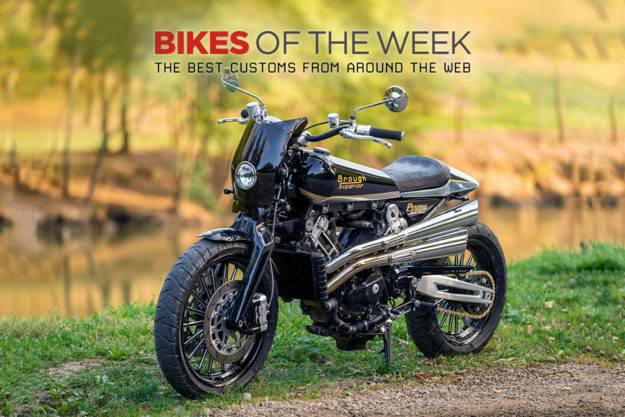 Built from the most unlikely of donors, this flat tracker named Mya started out as a beefy Yamaha XJ1300. Rodolpho Frascoli was commissioned by Rossi’s VR46 team to perform the transformation and, we dare say, he’s done a cracker job. The bodywork is flowing, minimal and capped by a full-length seat to give Rossi plenty of room to move around. The ergonomic hard parts, including the bars and pegs, have been swapped to deliver better control and there’s Öhlins suspension fore and aft. 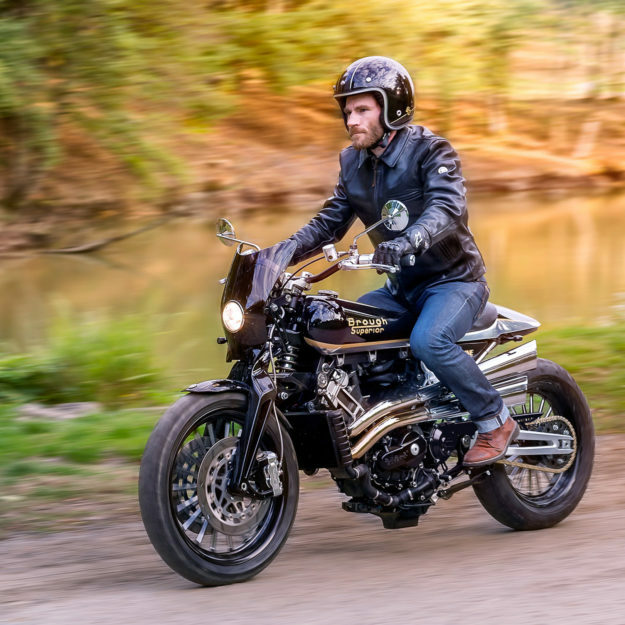 Harley-Davidson Sportster by Mule Motorcycles When we dropped the news of Indian’s Scout FTR1200 Custom, I swear you could hear a sigh of relief from the motorcycling world: It’s the exact bike we’ve all been gagging for. And now, the biggest name in flat tracker design, Mule Motorcycles, has delivered the one that Harley should build: The Midnight Express. 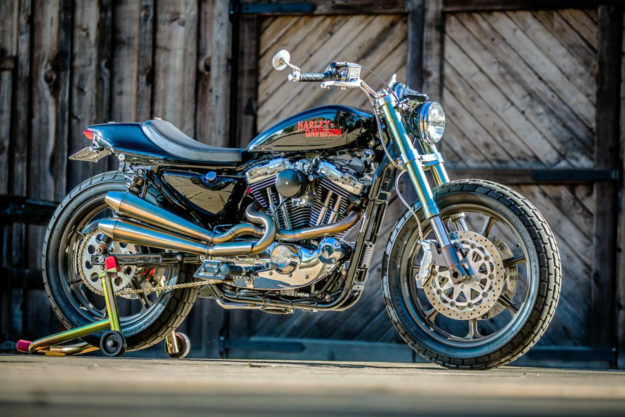 But this isn’t a Richard Pollock creation—former colleague and machinist Mel Cary handled the bulk of this Sportster build. Of course, there were a few winks, nods and nudges from Richard along the way. A low-mileage Sportster was sourced and Mel went to work on the stance. A set of widened 19-inch Morris HD wheels was powder coated before bolting up. The front suspension went from saggy to stout with the addition of Ducati 996 forks, which are held in place by a set of A&A dirt bike clamps. In the rear, where you may expect Öhlins, there’s a pair of Penske remote reservoir shocks from a decade-old Formula 1 car.